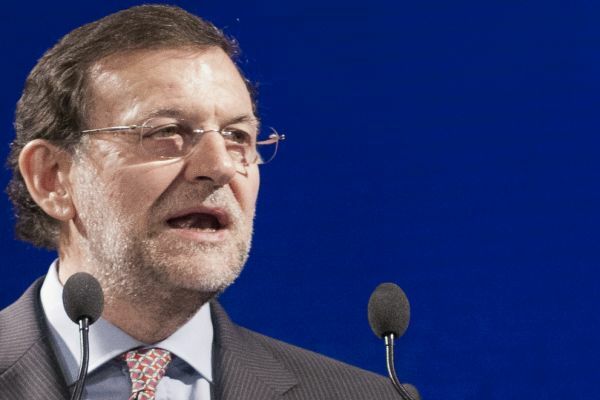 Spain's acting prime minister Mariano Rajoy highlighted the deficit reduction registered over the last four years to avoid being the first country fined in the history of the EU's fiscal rules. A historically fragmented vote in Spanish elections on Sunday (20 December) heralded weeks of talks to form a coalition government, with neither Prime Minister Mariano Rajoy’s conservatives nor left-wing parties winning a clear mandate to govern. Despite garnering the most votes, the centre-right People’s Party (PP) had its worst result ever in a general election as Spaniards angered by high-level corruption cases and soaring unemployment turned away from the party in droves. The outcome was reminiscent of a similar situation in neighbouring Portugal, where the incumbent conservatives won an October election but a socialist government backed by far left parties was ultimately sworn in. In Spain, the fragmented vote heralded a new era of pact-making, shattering a two-party system that has dominated Spain since the 1970s and casting a pall over an economic reform programme that has helped pull the country out of recession. However, the likelihood of a PP-led coalition faded with the robust showing of Podemos who roared into third place, outpacing fellow newcomer Ciudadanos whose market-friendly policies had been seen as a natural fit for the PP. The strong results of Podemos tipped the balance to the left of the political spectrum with five left-wing parties led by the opposition Socialists and Podemos together winning 172 seats. The Spanish constitution does not set a specific deadline to form a government after the election. Analysts say negotiations to secure enough parliamentary support for a new prime minister could go for weeks – and maybe trigger another election. “What most worries me is what the new government will look like and how it will govern,” said PP supporter, 29-year-old teacher Carlos Fernandez, standing outside the party headquarters in central Madrid. Leader of the opposition Socialists, Pedro Sanchez, said on Sunday Rajoy had the right to have a first go at forming a government as he had won the most votes. “The results are so close, but Spain is not like Germany and will not form a grand coalition,” said Rodrigo Serrano, a retired 67-year-old and former coach company owner at a Ciudadanos supporters event in Madrid.